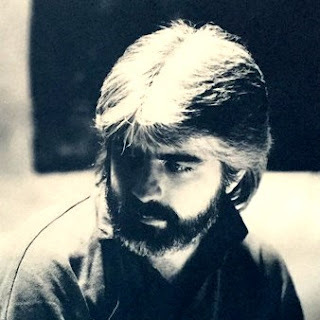 - Michael McDonald (born February 12, 1952) is an American singer, songwriter, keyboardist and record producer. McDonald's music career spans more than 45 years. His early career included singing with Steely Dan. He joined the Doobie Brothers in 1976 and remained an integral member until 1982, after which he released the first of nine solo albums. During his career, he has collaborated with a number of other artists, including Kenny Loggins, David Cassidy, Van Halen, Patti LaBelle, the Winans, Aretha Franklin, Toto, Grizzly Bear and Thundercat. He has also recorded for television and film soundtracks. During his career, McDonald has won five Grammy Awards. Michael McDonald was born on February 12, 1952, into an Irish American Catholic family in Ferguson, Missouri, a suburb of St. Louis. McDonald attended McCluer High School where he played in local bands including Mike and the Majestics, Jerry Jay and the Sheratons, the Reeb-Toors/Younger Brothers and the Guild. He was 'discovered' while playing with a band called Blue and moved to Los Angeles, California, in 1970 to pursue a career in music. As a member of the Doobie Brothers, McDonald sang the lead vocals on some of the band's best-known songs such as "Real Love", "Takin' It to the Streets", "Little Darling (I Need You)", "It Keeps You Runnin'", "Minute by Minute", and "What a Fool Believes" (which became a No. 1 single in the U.S. and earned him a 1980 Grammy Award for Song of the Year along with co-writer Kenny Loggins). At the same time, McDonald appeared as a session vocalist and keyboardist for various artists, including Christopher Cross, Stephen Bishop, Jack Jones, Bonnie Raitt, the rock band Toto and Kenny Loggins. McDonald co-wrote "You Belong to Me" with Carly Simon, which appeared on the album Livin' on the Fault Line. McDonald reunited as a guest performer with the Doobie Brothers several times since the band's initial dissolution in 1982. He re-teamed with the Doobie Brothers for the track "Don't Say Goodbye" on the band's thirteenth studio album, World Gone Crazy. In March 2014, he reunited with the Doobie Brothers to record a brand-new album featuring the greatest hits of the Doobies' 40-plus-year career. This project was completed in conjunction with Sony Music Nashville. On the album, McDonald shares lead vocals with Sara Evans for "What a Fool Believes", Love and Theft for "Takin' it to the Streets", and Amanda Sudano-Ramirez for "You Belong to Me". The album, titled Southbound, was released on November 4, 2014, as the Doobie Brothers' fourteenth studio album. 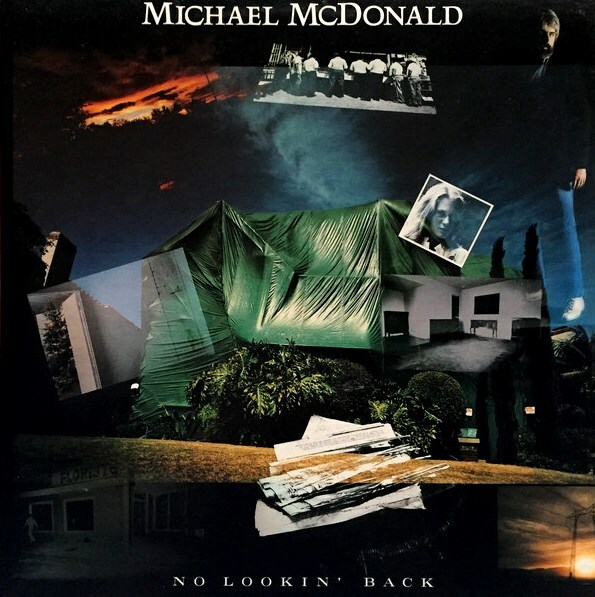 On November 5, 2014, McDonald and the Doobie Brothers were featured musical guests on the 47th annual CMA Awards to celebrate the release of Southbound. They were joined by Hunter Hayes, Jennifer Nettles and Hillary Scott in their performance of "Listen to the Music." At the end of the awards ceremony, they were also joined by host Brad Paisley for "Takin' It to the Streets". He continued to collaborate with other artists during this period. McDonald co-wrote Van Halen's Top 20 hit "I'll Wait", from their biggest-selling album 1984. "Yah Mo B There", a duet with James Ingram, won the 27th Annual Grammy for Best R&B Performance by a Duo or Group with Vocals. In 1985, he released his second studio album No Lookin' Back, which for the first time, he co-produced, as well as wrote or co-wrote all of the tracks and featured a minor hit with the title-track, co-written by Kenny Loggins. By June 1986, the album had met little success, but McDonald then had a huge boost with the release of the single "Sweet Freedom", which appeared on the soundtrack to the Billy Crystal and Gregory Hines film Running Scared, and was McDonald's last Top 10 hit on the Billboard Hot 100 chart. The No Lookin' Back album was then re-released in some markets with the new hit single included, as well as a few songs remixed. The single "On My Own", a duet with Patti LaBelle, reached No. 1 on the U.S. charts in 1986. Later that year, he would perform as a backing vocalist on Toto's album Fahrenheit, appearing on the hit single "I'll Be Over You", as well its accompanying video. On August 22, 1986, McDonald appeared in an episode of The Young and the Restless. Also in 1987, McDonald did a featured collaboration with gospel quartet the Winans from their Decisions album titled "Love Has No Color". In 1990, McDonald released his third studio album, Take It to Heart, which featured a minor hit with the title-track, co-written by Diane Warren. 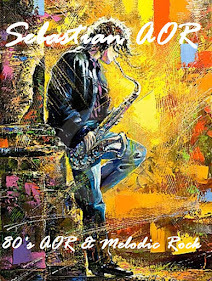 The following year he joined the New York Rock and Soul Revue, put together by Steely Dan's lead vocalist Donald Fagen and featuring other artists such as Boz Scaggs and Phoebe Snow. In 1991, he released the single "Ever Changing Times", a duet with Aretha Franklin. In 2017, McDonald was featured together with Kenny Loggins on Thundercat's single "Show You the Way", included on the latter's album Drunk. In June 2017, McDonald, Loggins and Thundercat performed the song together on The Tonight Show Starring Jimmy Fallon. - With his husky, soulful baritone, Michael McDonald became one of the most distinctive and popular vocalists to emerge from the laid-back California pop/rock scene of the late '70s. McDonald found the middle ground between blue-eyed soul and smooth, soft rock, a sound that made him a star. He initially essayed his signature style with the Doobie Brothers, ushering in the group's most popular period with hits like "What a Fool Believes" and "Taking It to the Streets." McDonald disbanded the group in 1982 to pursue a solo career, which was initially quite successful, but by the end of the decade his popularity had faded away, since he was reluctant to work regularly and hesitant to update his sound to suit shifting popular tastes. After singing backup on several Steely Dan albums in the mid-'70s, Michael McDonald joined the Doobie Brothers in 1977. He was largely responsible for moving the group away from boogie rock and toward polished, jazzy blue-eyed soul. Prior to the Doobies' farewell tour in 1982, he sang harmony on several hit singles, including tracks by Donna Summer, Toto, Kenny Loggins, and Christopher Cross. As it turned out, McDonald's solo work was a cross between the Doobie Brothers' white-bread soul and Cross' adult contemporary ballads. McDonald released his solo debut, If That's What It Takes, in 1982. The record climbed to number six on the strength of the number four single "I Keep Forgettin' (Every Time You're Near)," which also crossed over into the R&B Top Ten. In 1983, he had another Top 20 pop hit (and a Top Ten R&B hit) with his duet with James Ingram, "Yah Mo B There." 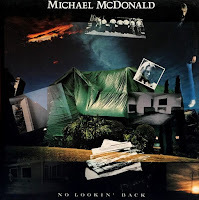 McDonald didn't deliver his second solo album, No Lookin' Back, until 1985. The record wasn't as successful as its predecessor, producing only one moderate hit in its title track. He bounced back the following year, when his duet with Patti LaBelle, "On My Own," shot to number one and "Sweet Freedom," his theme for the Billy Crystal/Gregory Hines comedy Running Scared, climbed into the Top Ten. Instead of capitalizing on his revitalized success, McDonald didn't release another album until 1990. The resulting Take It to Heart was a bomb, peaking at number 110. Two years later, his fortunes were revived somewhat when he sang on Aretha Franklin's minor hit "Ever Changing Times" and toured with Donald Fagen's New York Rock and Soul Revue. The following year, he released Blink of an Eye, which was ignored. In 1994, "I Keep Forgettin' (Every Time You're Near)" was sampled heavily in Warren G's smash hit "Regulate." By 1996, McDonald had returned to the Doobie Brothers, touring the oldies circuit with the reunited group. The following year, he released Blue Obsession, his first album of new material in three years. He released a Christmas album, In the Spirit: A Christmas Album, in 2001, and began a series of recordings devoted to the Motown catalog with 2003's Motown. Motown Two and Soul Speak followed in 2004 and 2007, respectively. Tribute to Motown Live followed in 2009.